Many of us have pets and like it or not, they very quickly become a part of the family with a blind eye turned to the wake of toys, treats and general destruction that often follows. Here are a few tips on living with those furry family members and how to keep your home from looking like the pet rules the house. 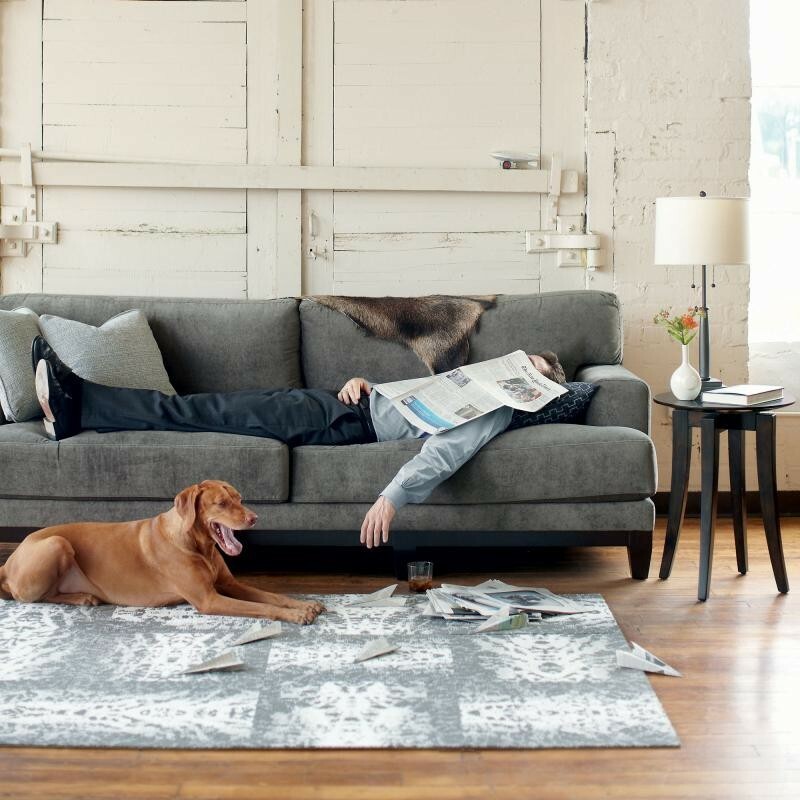 Just like you, your pet will choose a favorite place to lounge. 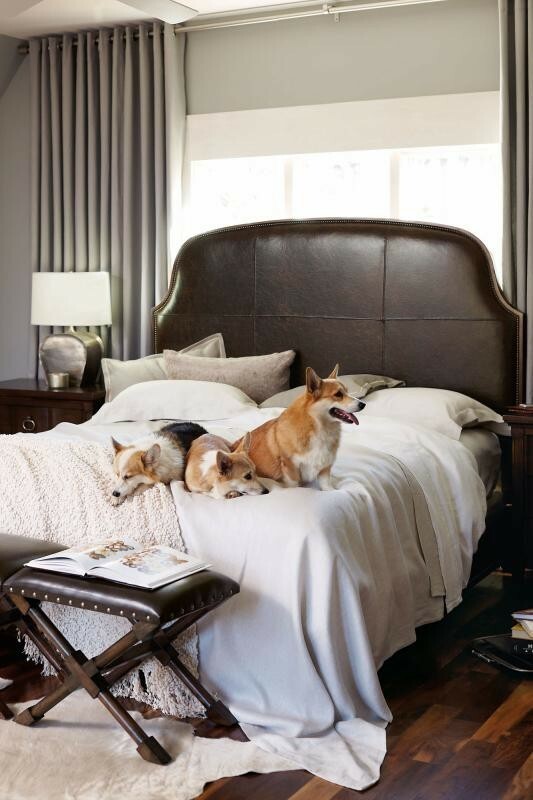 This may end up creating a conflict between your favorite spot and theirs, so I would always recommend investing in a pet bed that is in keeping with the style of your home. Every week it seems that new options are added to the size and style of pet beds that are on the market so no matter whether your style is contemporary, traditional or something in between you will be able to find one that suites your décor. Speaking from personal experience, it can take a little time for your pet to get comfortable in their new bed but don’t give up! Keep trying to coax them into their bed so they learn that is their space and you can have your favorite spot back. Persistence will pay off in the end. For those who would rather have their pet on the sofa or chair I would recommend getting an inexpensive throw blanket that compliments the chair or sofa of their choice. It shouldn’t be a giant blanket that covers the entire piece but a comfortable size for your pet to lie on. A good rule of thumb is that it shouldn’t take up more than one seat unless your have a very large pet. Buying one that coordinates with your home will ensure that it will always look good, even if your pet isn’t using it. Probably one of the most important elements of strengthening your bond with your pet is sleeping arrangements. While you might think that I am suggesting that you let your pet sleep with you that is exactly the opposite. It might feel all close and cuddly to have your pet sleep on the bed with you but in the end it will likely do the most to damage your relationship. Having a pet in your bed is distracting and it will disrupt your sleep. Your time sleeping in bed needs to be for you because when you are rested and rejuvenated everything in your life is better including that sometimes mischievous dog. Choose your colors and your fabrics with your pet in mind. If you have a lovely black dog that sheds and you don’t mind her on the sofa then don’t pick a light colored fabric that will show every hair the dog leaves behind. Cats love to scratch so stay away from a fabric that has looped fibers for their claws to get stuck in. I would likely recommend a velvet fabric so that if your cat chooses to scratch they aren’t tearing apart the fabric but remember that no fabric is cat-proof so the best solution would be to get something like soft-paws for them. In the end we are going to make some compromises in our homes to accommodate our pets but this doesn’t mean that the whole house has to go to the dogs. 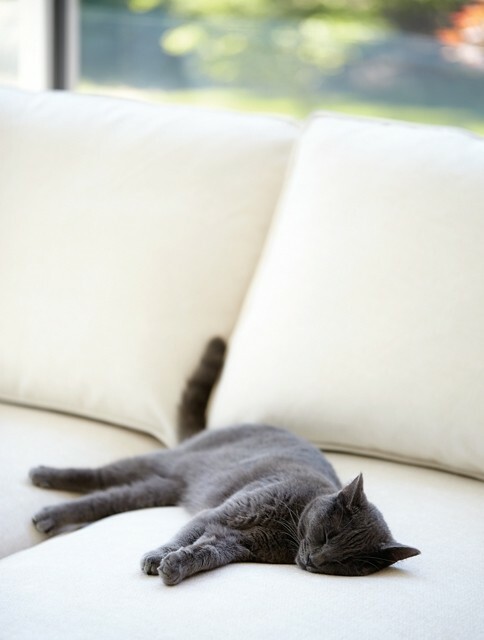 A little forethought and planning will make both you and your pet more comfortable in your home.